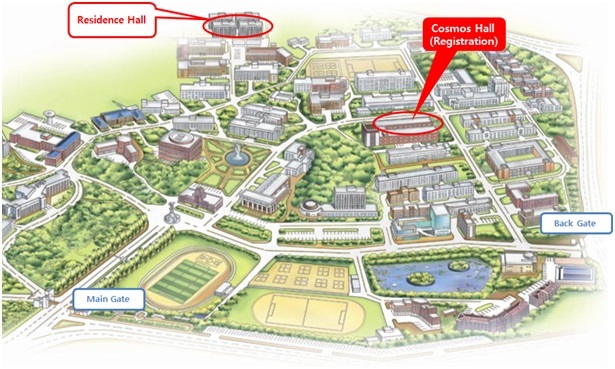 CNU Residence Hall available during the conference is limited. If you are interested in using the residence hall, fill up the form below and send us the email at leehwanna@nate.com by May 17, 2014. We’ll notify the acceptance by the end of May. - Private preparations: toiletries, wardrobe lock, slippers, tissues, personal items, etc. 1) The Hotel Food & Tour is providing special discount for conference participants and only 10 rooms are available. Reservation will be accepted in order of application. If you are interested in, check in the box below(Accommodation Tour Transportation.docx) and send us the email at leehwanna@nate.com. 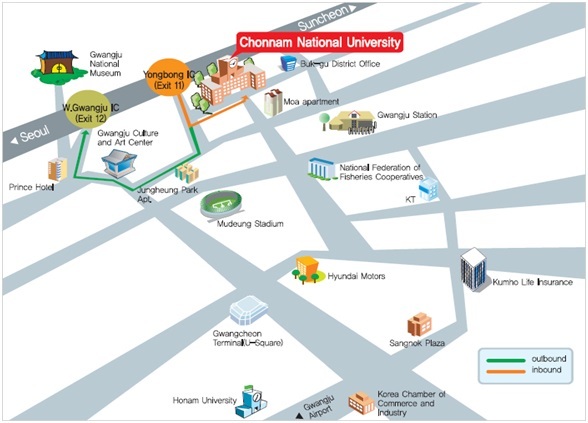 2) If you want to stay at other hotels in Gwanju, click http://www.tripadvisor.com/Hotels-g304129-Gwangju-Hotels.html for more information & reserve personally. 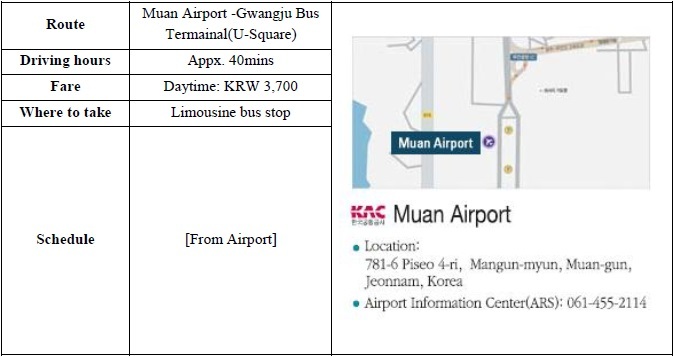 • Leave Incheon Airport through exit 3, 4, 10, 11 after finishing formalities of entry, take a bus to Gimpo Airport and get on airplane to Gwangju. 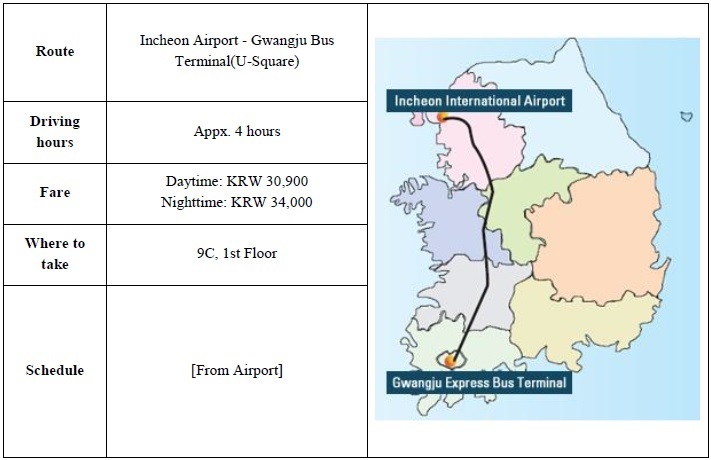 ※ Flights are available every 30 to 60minutes and it takes an hour to Gwangju.